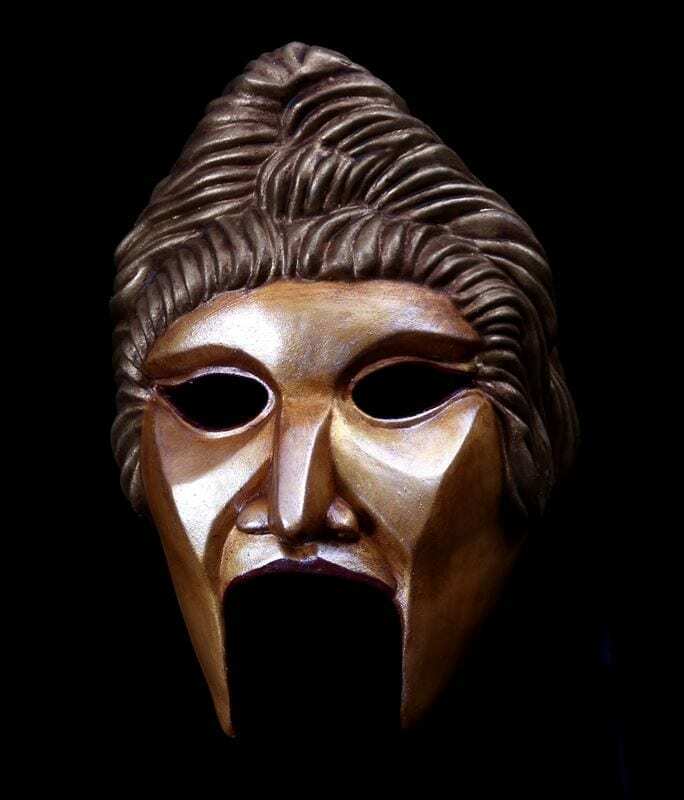 Goddess Greek Theater Mask: The Goddess mask can be used for many of the regal and powerful women characters in Greek Theater. This mask although filled with pride and stability can be severe in her anger and devastated in her anguish. 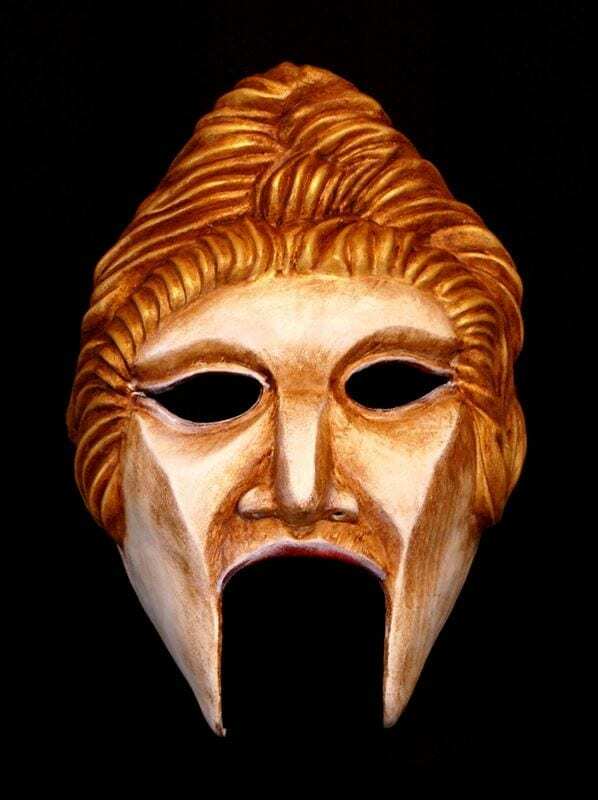 The Goddess Greek theater mask creates a larger than life presence for the actor. The masker will appear to rise above the others as the form of the mask gives the wearer the illusion of height. Add this mask to your collection of masks for schools, colleges, professional companies and University training programs.